Proud members of the Islamorada Chamber of Commerce! Imagine Rentals presents the best selection of Florida Keys Vacation Rentals to all its guests. Find your Dream Home for your next vacation! Private homes, including some of the most alluring and tropical settings, luxurious style & absolute comfort. Imagine Rentals is dedicated to creating unique vacation experiences in unmatched settings. We offer many private luxury weekly vacation rental homes in the Florida Keys, each with it's own special qualities and amenities! Vacationing in the Florida Keys is often to refered to as one of the most memorable times you will ever have...all without leaving the country. Imagine Rentals represents the best vacation rentals in Islamorada and Key Largo. Why stay in a hotel in the Florida Keys, when you can have your own private waterfront vacation home, away from the crowds? For a stunning sunrise view try a Florida Keys oceanfront weekly rental, but don't forget about a bayside weekly rental in the Florida Keys where the sunsets are guaranteed to make you smile. Laid back and postcard perfect. Finally, live the Florida Keys vacation, you've always wanted with Imagine Rentals. Browse our impressive gallery of private luxury vacation rentals spanning the upper Florida Keys. Our professional rental specialists have detailed knowledge of all our Florida Keys luxury vacation rentals and surrounding area. Allow our Concierge service professionals to assist in treating yourself to an extra special vacation, from arranging a personal chef, to booking that relaxing spa experience or exciting excursion. We're here to make your vacation inspired. Our Florida Keys vacation homes are located in Key Largo and Islamorada. Browse our impressive gallery of Florida Keys vacation home rentals. 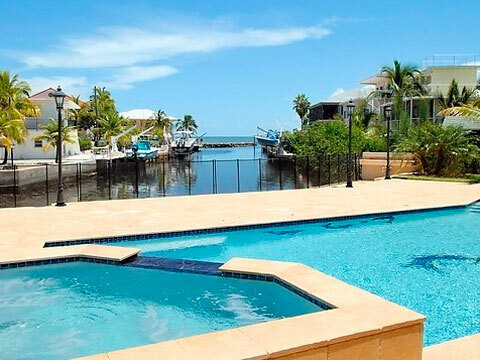 Our vacation homes take advantage of the best the Florida Keys has to offer; we offer Florida Keys vacation rentals which are oceanfront, beachfront, bayfront and canal. Welcome to Imagine Rentals and welcome to the Florida Keys. Imagine Rentals is about vacationing inspired! We are exicted to tell you about who we areâ€¦ Founded in 2007, Imagine Rentals is a boutique vacation rental company offering a full range of services. All of the homes represented by Imagine Rentals are rented as vacation rentals and include simple beach homes to elegant, multi-million dollar estates. Our clientele includes heads of major businesses, entertainment figures, as well as vacationing families from all over the world. A member of the Islamorada Chamber of Commerce, VRWD Network and the Florida Visitor and Travel Bureau, Imagine Rentals continually strives to maintain our upstanding reputation and business integrity The mission of Imagine Rentals is to deliver a classic yet comfortable luxury product specifically designed for an exclusive clientele. We encourage families, businesspersons and specialty groups alike to enjoy our private, stunning inventory of homes. With settings like the Florida Keys, guests of Imagine Rentals can't help but let their worries drift out to sea.